A sign of the times: As I write this, the Grove shopping complex down the street from Samy's downtown LA store was holding a press conference because of a bomb scare ... terrorism is affecting all of us, even in here! As we move out of April and into May it is deja vu all over again: the Lakers are playing well and now they face the San Antonio Spurs in the 2nd round of the playoffs, which everyone here in LA-LA Land considers the REAL NBA Finals? Shaq verses Duncan. Kobe hitting the fall - away and Parker slicing and dicing to the hoop ... But my pick for the NBA Finals? The T'Wolves and the Nets. You heard it here first. We have Nikon D70 in stock, as well as the professional - level digital bodies: the D2H and D1X with a $500 rebate these cameras are moving fast! As far as Nikon glass: the hot sells of late have been the fabulous new 17mm - 55mm f2.8 zoom --- and for you golf, track and swimming shooters the VR 200mm - 400mm f4 zoom is the ticket! (300 - 600 equivalent on digital) --- and the high demand 10.5mm wide angle has been trickling into the stores ... call me for availability and great pricing for our Sports Shooter costumers. The first word out of everyone these days seems to be "Mark II" --- and let me tell you the scoop: We received our first shipment last week and expect more in the coming weeks. Over 30 SportsShooter.com members received their Mark IIs from our initial shipment. The reports from the these shooters has been great. I will be keeping an eye on the ss.com message board to read more about what all of you Canon shooters think about the new "Bad Boy" on the digital scene. And don't forget, the 1Ds is available and in stock as well as the 10D (a great "2nd" body or back up in my opinion). If you're looking for Canon glass, give us a call at Samy's to check on what's in stock at the moment and for a special price for Sports Shooter readers! for point & shoot cameras: new Canon Pro-1 digital is in stock, as well as THE ULTIMATE knock-around-in-the-pocket camera the S500. 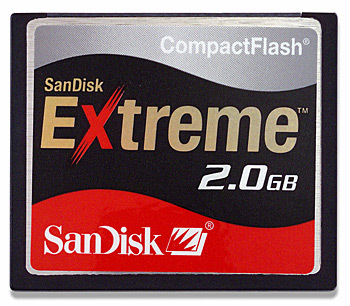 We have another great Sports Shooter special on Lexar compact flash cards, as well as the new HOT card on the market: the SanDisk Extreme! We have also received the new 2 - gig Hitachi MicroDrives ... a great price of $239.95 for Sports Shooter readers. ---downtown LA, Pasadena, Santa Barbara, Venice and the new one in Orange County ---check out our inventory and say hello!